The 29th session of the WIPO Standing Committee on the Law of Patents (SCP) met from 3-6 December, and closed early, at the beginning of the afternoon yesterday. SCP Chair Dámaso Pardo of Argentina praised the good spirit and the agreement on future work at the close of the session. According to the summary by the chair [pdf], the next session of the SCP is tentatively scheduled from 24-27 June. Delegates were smiling and appeared content with the preserved balance in the future work plan of the SCP [pdf]. As has been the case for some time, the future work kept five topics, answering to different interests in what the committee should explore and talk about. At the next session, the SCP is expected to discuss exceptions and limitations to patent rights; quality of patents, including opposition systems; patents and health; confidentiality of communications between clients and their patent advisors; and transfer of technology. The committee agreed to carry out a work programme as suggested in a proposal [pdf] put forward by Argentina, Brazil and Switzerland, updated this week [pdf] and joined by Chile,. The proposal requested a regular update on publicly accessible databases of patent status information concerning medicines and vaccines, according to the future work programme. A half-day conference was organised earlier in the week on publicly accessible databases on patent information status and data, on medicines and vaccines (IPW, WIPO, 5 December 2018). Also agreed by the SCP is a review of existing research on patents and access to medical products and health technologies, as proposed by Brazil, Canada and Switzerland in a proposal [pdf] put forward during the last session of the SCP, and revised [pdf] during this week. WIPO and “invited relevant institutions” will share their experiences on capacity building activities relating to negotiating licensing agreements at the next session of the SCP, with a particular focus on an element of a 2016 African Group proposal [pdf]. The subject of compulsory licences will be part of the work programme, as the WIPO secretariat has been tasked to prepare a draft reference document for the next session, according to the future work document. The draft reference document [pdf] on the research exception, prepared for this session, is left open for future discussions, it says. In particular, the Spanish proposal suggests focusing on several subjects, including the combination of common general knowledge with the state of the art, and the assessment of inventive step in the chemical sector. WIPO is also tasked with preparing a background document on patents and emerging technologies for the 30th session SCP, as well as a study on approaches to the quality of the patent grand process, for the 31st session of the SCP. According to the SCP future work document, the WIPO secretariat will continue updating the website, “Confidentiality of Communications between Clients and Their Patent Advisors.” and invite member states to send “any additional inputs” for the preparation of the updated document based on the document [pdf] submitted for this session of the SCP (IPW, WIPO, 3 December 2018). 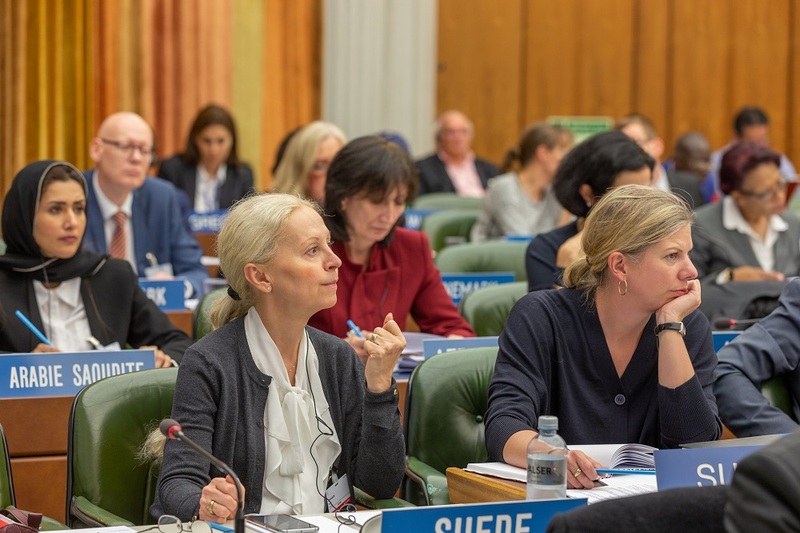 The WIPO secretariat is requested by the SCP to continue to compile information on patent law provisions and practices that contributed to effective transfer of technology, including sufficiency of disclosure, according to the future work programme document. "Agreement At WIPO Patent Law Committee Signals Less North-South Contention" by Intellectual Property Watch is licensed under a Creative Commons Attribution-NonCommercial-ShareAlike 4.0 International License.